attention all beauty shoppers! 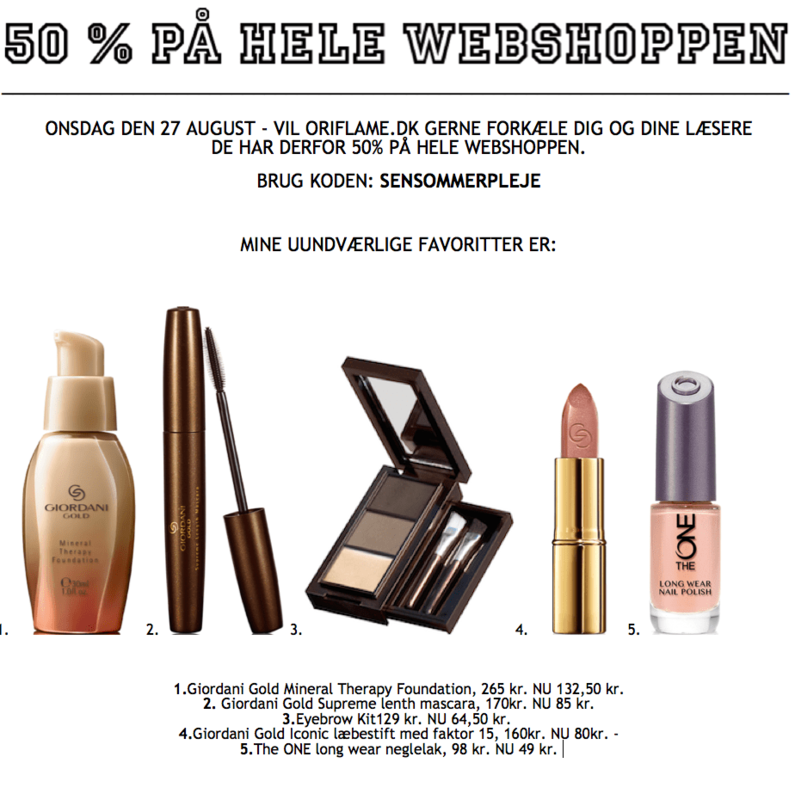 oriflame has a great online offer today with 50% off on everything. i’m a big fan of their eyebrow kit and mascaras. want to see more? make sure to check it our here and use the code sensommerpleje.